(POUND RIDGE, N.Y.) Golf season is underway at Pound Ridge Golf Club — New York’s only Pete Dye design and Westchester Countys premier public course — and the course is in peak condition as summer approaches. Ample rain, sunshine and cool nights have created ideal growing conditions for Pound Ridge’s bentgrass tees, fairways and greens. A “core course,” it offers players a secluded, 172-acre golf sanctuary devoid of residential and commercial encroachment. Now in its eighth year, the Dye masterpiece is maturing in the mold of many of the great courses of Westchester County. New for 2015, tee times can be reserved using the courses new feature-rich, easy to navigate website optimized for mobile and tablet use. Peak season rates (through November 1) range from $120 on weekdays after 2 p.m. to $210 on weekend mornings before 2 p.m. Golfers can preview the challenge ahead with the new drone flyover of the entire layout. Post-round, guests can relax in the refreshed interior of the recently expanded clubhouse, offering a full-service kitchen with new equipment, and mens and womens showers and small locker rooms. Conveniently situated an hour from New York City and less than a half hour from White Plains, N.Y., and Stamford and Greenwich, Conn., Pound Ridge is easily accessible from the regions population centers. For business and leisure travelers, a stay-and-play experience is offered in tandem with the luxurious Delamar Greenwich Harbor. Opened in 2008, Pound Ridge Golf Club is the only course in New York designed by the legendary Pete Dye. Located in Westchester County, it is less than an hour north of New York City and less than 15 minutes from Stamford and Greenwich, Connecticut. Pound Ridge Golf Club is the premier high-end, public course in the metropolitan New York area. Crafted by Dye, his son Perry and long-time Dye construction manager/lead shaper Michael Langkau, Pound Ridge Golf Club is a full bentgrass facility, hewn from 172 acres of magnificent cliffs, streams and wooded hills. Dramatic rock formations and boulders were left onsite, creating one of the most visually stunning settings for golf in the United States. More than 14,000-linear-feet of rock wall surrounds trees, wetlands and water hazards. These frame contoured fairways wind through hardwood forests and fescue mounds leading to open meadows with picturesque green complexes. Fans of Dye will find all the legendary designers renowned touches on display: dramatic mounding, rhythmic routing and subtle deception meld to create an imminently challenging and fair golf experience. Pound Ridge Golf Club reflects the best in contemporary course design and is unique in a region filled with classic courses. The par-72 Pound Ridge Golf Club measures 7,165 yards and houses five sets of tees. It boasts a practice range, short game area and putting green. The property features some of the highest points in Westchester County, with a number of tee boxes offering expansive vistas of the surrounding countryside. Notable holes include the par-5, 13th — home to “Pete’s Rock,” a giant boulder that rests in the middle of the fairway — and the par-3 15th — dubbed “Headstone” — which is flanked on the right by a large rock outcropping that protrudes into the elongated, 9,000-square-foot green. In a region filled with classic layouts, Pound Ridge provides golfers with a refreshing and modern course design option. Dyes signature design elements — dramatic mounding, rhythmic routing and subtle deception — are wonderfully displayed throughout the par-72, 7,165-yard layout, creating a compelling and fair test of golf. SPRINGFIELD, NJ (May 19, 2015) – Baltusrol Golf Club in Springfield, New Jersey, will host the 98th PGA Championship, July 25-31, 2016. Planning is in high gear already, with Ryan Cannon serving as Championship Director. As the 2016 PGA Championship Director, Cannon, whose assignment at Baltusrol began in 2013, is responsible for managing the regional business of the Championship, including marketing, advertising, community and government relations, security, volunteer recruitment and the PGA’s relationship with Baltusrol Golf Club. Cannon is an experienced executive who has managed several other PGA of America championships. He was Championship Director of the 2013 PGA Championship at Oak Hill in Rochester, N.Y.; the 2011 PGA Championship at Atlantic Athletic Club; and the 2008 PGA Championship at Oakland Hills outside of Detroit. Cannon began working with the PGA of America as the Operations Coordinator of the 2001 PGA Championship at the Atlanta Athletic Club. He was also the Operations Manager for the 2004 Ryder Cup at Oakland Hills. Joining Cannon on the 2016 PGA Championship executive team is Rick Jenkins, who was previously announced as General Chairman by Baltusrol Golf Club. Jenkins served six years on the Board of Governors at Baltusrol, including tenures as Green Chair and Communications Chair, and is a third generation member. He has extensive experience in the golf business, having worked at the New Jersey State Golf Association as director of marketing, communications and sponsorships, and managing his own digital media golf business. As General Chairman of the 2016 PGA Championship, Jenkins oversees the Championship on behalf of Baltusrol Golf Club and its members, working closely with Cannon and his staff and acting as the liaison to the Club’s Board of Governors. For more information about the PGA of America, visit PGA.org, follow @PGAofAmerica on Twitter and find us on Facebook. Baltusrol Golf Club, synonymous with championship golf, sits at the base of Baltusrol Mountain in Springfield, New Jersey, only a stone’s throw from New York City. With a rich heritage that dates back to 1895, Baltusrol is considered one of the country’s premier golf clubs. Its two championship courses, the Lower and Upper, have played distinguished roles on the national golf stage since their creation by Golden Age architect A.W. Tillinghast. Over its 120-year history, Baltusrol has hosted 16 major championships, with the PGA Championship returning for the second time in July 2016. Recognizing its historical significance and place in the world of golf, the National Park Service recently designated Baltusrol a National Historic Landmark. Orlando, Fla., May 18, 2015… Marriott Golf, one of the world’s premier golf operators, today announced the launch of the $1 for HOPE campaign, in support of military veterans nationwide through PGA REACH. The campaign was officially announced on Wednesday, May 13th in conjunction with PGA HOPE Day at Westfields Golf Club in Clifton, VA.
As part of the $1 for HOPE campaign, all golfers/visitors checking in for their tee time and/or making a purchase at the pro shop – at any of 20 participating Marriott Golf resort destinations – will have the opportunity to make a donation, by adding $1 or more, to their fee. All proceeds from this initiative will be used to support and enhance PGA HOPE (Helping Our Patriots Everywhere) programming nationwide. The flagship military program of PGA REACH, the charitable foundation of the PGA of America, PGA HOPE is designed to introduce golf to veterans with disabilities in order to enhance their physical, mental, social, and emotional well-being. The HOPE program, led by PGA Professionals, helps veterans assimilate back into their communities through the social interaction the game of golf provides. All PGA HOPE programming is fully funded by PGA REACH, and offered at NO COST for military veterans and their families. Learning and playing the game of golf is a proven activity that has positively impacted thousands of wounded veterans nationwide, and PGA HOPE is truly making a difference. As many veterans struggle with the transition back into civilian life, golf programming delivers a new level of enjoyment, while PGA Professionals provide expert golf instruction, and encourage the veterans to be more active in their communities. Participants of HOPE programs include military veterans living with a specific set of physical or cognitive challenges such as Traumatic Brain Injury (TBI), Post Traumatic Stress Disorder (PTSD) or the loss of a limb, among other challenges. Marriott has always valued the service and commitment of veterans who have served the country, and is committed to continue serving them through its hiring, recruitment, programs and partnerships. The company’s ongoing effort to attract and retain the best and brightest talent includes actively recruiting U.S. military veterans to work at Marriott hotels. Marriott has ramped up its outreach to more than 500 military bases around the world and launched a military careers site just for vets at www.marriottvetcareers.com. Participating courses in the $1 For HOPE campaign represent some of the country’s premier championship venues, including: Wildfire Golf Club, Phoenix, Ariz.; Camelback Golf Club, Scottsdale, Ariz.; Starr Pass Country Club, Tucson, Ariz.; Desert Springs Golf Resort, Palm Desert, Calif.; Shadow Ridge Golf Club, Palm Desert, Calif.; Grande Vista Golf Club, Orlando, Fla.; Hawk’s Landing Golf Club, Orlando, Fla.; Ritz-Carlton Golf Club, Grande Lakes, Orlando, Fla.; The Rookery at Marco, Naples, Fla.; Renaissance Vinoy Golf Club, St. Petersburg, Fla.; Ritz-Carlton Members Club, Sarasota, Fla.; Stone Mountain Golf Club, Stone Mountain, Ga.; Crane’s Landing Golf Club, Lincolnshire, Ill.; Toftrees Golf Club, State College, Pa.; Cattails Golf Club, Kingsport, Tenn.; and Westfields Golf Club, Clifton, Va.
For more information on the $1 for HOPE campaign and additional military programming at Marriott Golf facilities, please visit www.MarriottGolf.com. For more information on PGA HOPE Programming, please visit www.pgareach.com. Marriott Golf manages 50 golf courses at 37 locations in 11 countries, offering nearly 1,000 holes of championship golf for seven Marriott International lodging brands. Marriott has been managing golf operations since 1970 and is one of the world’s premier golf operators. Marriott provides golf management and consulting services to a variety of operational environments including resort, private club, daily fee, golf school and franchises. WILLIAMSBURG, Va. (May 19, 2015) – Following its sold-out April 18 debut, Beers in the ’Burg returns to Chowning’s Tavern Memorial Day weekend, Saturday, May 23, with the taste of 10 selections from Devils Backbone Brewing Company. Beers in the ’Burg takes place from 4-7 p.m. in the arbor garden behind the alehouse. Tickets for the event are $25. Light fare to accompany the beer tasting is available for purchase. The lively sounds of traditional Celtic music performed by local favorite Poisoned Dwarf add to the festivities. What better way to lead into a beer tasting than to take the challenge of a round of golf at Golden Horseshoe? The classic Gold Course, designed by Robert Trent Jones Sr., has been voted among the country’s finest courses ever since it first opened more than 50 years ago. The adjacent Green Course, designed by his son Rees Jones 25 years ago, represent the first father-son layout in the country. Jones Senior also designed the popular executive-length Spotswood Course. Additional Beers in the ’Burg tastings are scheduled for June 20 (Evolution Craft Brewing), Aug. 8 (Smartmouth Brewing Company) and Sept. 19 (St. George Brewing Company). Tickets are available online at ColonialWilliamsburg.com, at all Colonial Williamsburg ticket locations or by calling 855-296-6627. More information on tee times or room and golf packages is available at www.colonialwilliamsburg.com or 855-296-6627. The Colonial Williamsburg Foundation preserves, restores and operates Virginia’s 18th-century capital of Williamsburg, Va., as a 21st-century center for history and citizenship. Innovative and interactive experiences, such as the street theater Revolutionary City and the RevQuest: Save the Revolution! series of technology-assisted alternate reality games, highlight the relevance of the American Revolution to contemporary life and the importance of an informed, active citizenry. The Colonial Williamsburg experience includes more than 400 restored or reconstructed original buildings, renowned museums of decorative arts and folk art, extensive educational outreach programs for students and teachers, lodging, culinary options from historic taverns to casual or elegant dining, the Golden Horseshoe Golf Club featuring 45 holes designed by Robert Trent Jones Sr. and his son Rees Jones, a full-service spa and fitness center, pools, retail stores and gardens. Philanthropic support and revenue from admissions, products and hospitality operations sustain Colonial Williamsburg’s educational programs and preservation initiatives. Batavia, IL (May 4, 2015) – Tour Edge today introduced a brand new product in the Exotics CB PRO family, the CB PRO U hybrid. Created with the infamous Slip Stream™ sole of the CB PRO fairway wood the U hybrid is a mini version designed for speed and powerful performance. The limited edition U hybrid is a game changer. The new patented Slip Stream™ sole is redesigned for even faster speed by minimizing turf contact regardless of the attack angle and position of the head at impact. The reduced wave length on the sole, compared to the original CB PRO fairway wood, allowed engineers to design new heel and toe cavities. The new cutouts in the U hybrid promote even less turf interaction and greater playability from all turf conditions. In addition to the U hybrid’s unique sole design, the setup at address has been modified for a more Tour preferred look. Compared to the E8 hybrids the U’s leading edge is closer to the shaft for increased workability. The CB PRO family of products includes fairway woods (CB PRO), driving irons and irons (CB PROh), a wedge series (CB PROs), and now a hybrid (CB PRO U). The CB PRO U hybrid features a Carpenter 475 forged cup face combo brazed to a hyper-steel body. Exotic’s tradition of combo brazing the cupped face with a hyper steel body means that every single gram of excess weight is eliminated from the face and shifted to the sole for a lower center of gravity position in the compact head. The unsurpassed technology found in the CB PRO U is being combined with one of the hottest shafts available; The Second Generation KURO KAGE™ Silver Series features the High Density Prepreg: with up to 15% more carbon fiber and much less resin (20% vs. 33%) than standard prepreg, there are fewer “gaps” and “voids” in the prepreg creating more consistent performance, increased stability and better feel with less harshness. The CB PRO U arrives in a red velour lined decorative box, standard with an Iomic grip, and a soft luxurious leather head cover. Tour Edge’s Exotics CB PRO U hybrids are available right hand only, 17°, 19°, and 21°. Every Tour Edge club comes with a lifetime warranty. Suggested retail is $249.99, and projected to be in stores June 1, 2015. For more information, call (800) 515-3343 or visit www.touredge.com. Located in Batavia, IL, Tour Edge manufacturers and sells golf clubs under both the Exotics and Tour Edge brands. Exotics golf clubs are for those who demand the finest performing golf clubs in the world. With experienced designers and smaller production runs, Exotics by Tour Edge brings futuristic technologies to the marketplace. Exotics’ manufactures the finest quality, high-technology golf clubs and hand-assembles them one club at a time. Tour Edge has forged a name for itself as a producer of high-quality golf clubs that are sold at unbeatable prices. The company’s clubs are distributed throughout the United States and the world. In the “Hot List” revealed on May 5 and featured in the magazine’s June issue, VICE was awarded Gold Medals for its Pro and new Pro Plus balls. The Pro Plus was just introduced this month. VICE is the only “small” golf-ball company honored with the golf award. The Pro and Pro Plus received the Gold Medal based on their ratings in four categories. They were awarded five out of five stars in Performance, four-and-a-half stars in both Innovation and Feel, and one star in Demand. The Pro ball, which is available in bright White, Neon (lime), and Flamingo (pink), is a three-piece ball with a cast urethane cover, designed for long distance and soft feel. The new Pro Plus, released to the public in the last few weeks, is a four-piece ball with a cast urethane cover and two layers surrounding the High Energy Speed Core. The Pro Plus will help a wide range of golfers looking for long distance, outstanding control, low trajectory, and quick stopping on the green. VICE Golf ball prices may be purchased for as low as $14.95 per dozen for the Tour balls. The Gold Medal balls are $34.95 a dozen, but the cost drops to $29.95 per dozen when purchasing three or four dozen, and to $24.95 per dozen for five or more. All balls are available at www.vicegolf.com/us. According to VICE, the Pro performs comparably to Titleist’s Pro V1, the best-selling ball in the world, but at about half the price. The Pro Plus is comparable to Titleist’s other best seller, the Pro V1x. VICE Golf makes two other balls—the lower-priced, more mass-market Drive and Tour—as well as limited-edition hats and a newly announced glove, the Pure, all available only from the company’s website. To order products or for additional information about this highly innovative company and its range of distinctive products for the discriminating golfer visit http://www.vicegolf.com/us. CHICAGO (May 5, 2015) — Wilson Staff, the creator and industry leader in softer golf ball design and technology, has been awarded three gold medals in the just released 2015 Golf Digest Hot List. The Gold Medal recognizes all three player and golf ball construction categories in the List and represent Wilson Staff’s extended low compression platform including: DUO, DUO Spin, and the FG Tour golf balls. Wilson Staff has been at the forefront of low compression technology since 1997, when it launched the Staff Titanium. The company has continued to revolutionize golf ball technology by using player insights and performance needs to refine and re-engineer its low compression golf ball offerings. The new and improved Wilson Staff DUO represents the industry’s leading low compression technology at 29 compression. This year’s gold medal represents the second time the golf ball has been recognized. The two-piece ball is designed for the distance player seeking less spin off the tee and soft feel around the green. The 2015 DUO is 25 percent softer than its predecessor. The DUO Spin is the sport’s softest multilayer ball. It’s three-piece construction and 35 compression makes it longer and softer than any other ball in the category. Featuring similar distance and low compression components present in the DUO, the DUO Spin is designed for the control player who wants forgiveness off the tee and more control around the greens. For the second year in a row, the FG Tour Urethane ball has claimed gold medal recognition. Designed for feel players, the FG Tour ball has a four-piece construction with each layer designed for optimal performance. At 70 compression, the FG Tour Urethane is the world’s softest 4-piece tour ball. About Wilson Golf For 100 years, Wilson Golf has designed, manufactured and distributed premium and recreational golf equipment throughout the world. Since 1914, Wilson Staff irons have won 61 major championships, more than any other iron manufacturer in history. That winning tradition continues today by delivering the highest quality equipment to all golfers to enhance performance on the course and overall enjoyment of the game. Celebrate the Perfect Golf Experience! Scotland’s Golf Coast is delighted to announce the dates of its inaugural golfing ‘Festival’. Enjoy a week-long series of events from 18th – 24th October 2015, where you can play some of the world’s finest links courses, embrace the challenge of picturesque parkland courses and experience the heritage of a golf destination we have been perfecting since 1672. Scotland’s Golf Coast welcomes three professional events to the area this year: the first ever Aberdeen Asset Management Scottish Open Pre-Qualifier at North Berwick; Gullane Golf Club welcomes the Aberdeen Asset Management Scottish Open; and the Scottish Senior Open will be hosted at Archerfield Links. With 22 must-play courses, stretching along 30 miles of stunning coastline, and all just 30 minutes from Edinburgh, Scotland’s vibrant capital city, the area is known as the sunniest and driest in Scotland, making it the perfect place for autumn golf. This October help us celebrate our inaugural Scotland’s Golf Coast Festival and test yourself on some of our finest courses: don’t just watch the action, experience golfing perfection first-hand. The Scotland’s Golf Coast Festival programme commences on Sunday 18th October with a 9-hole Challenge Warm up on Gifford Golf Club’s beautiful 9-hole course followed by a Welcome Reception at Duck’s at Kilspindie that evening. The Saltire Trophy is what everyone is playing for during the Festival. Open to all amateur golfers, this 72 hole Stableford tournament will be played over four inspiring links courses offering players the opportunity to extend their golf into the Autumn months in one of the finest golfing destinations in the world. Commencing on Monday 19th October, the week starts off with a stiff challenge at Gullane No. 1, home of the 2015 Aberdeen Asset Management Scottish Open; followed by a visit to Londniddry Golf Club’s mix of links & woodland; Wednesday is rest day where golfers can take stock for the final two days and enjoy the surrounding area, before tackling Dunbar Golf Club, an Open Championship Qualifying Course on Thursday 22 October; and concl uding at the exclusive Renaissance Club on Friday the 23rd October 2015. There will be a Prize-Giving at The Renaissance Club that evening. For those wishing to stay on in the area over the weekend, enter The Heritage Hickory Challenge, played at Musselburgh Links, on Saturday 24th October and try out your skills with a set of hickory clubs. 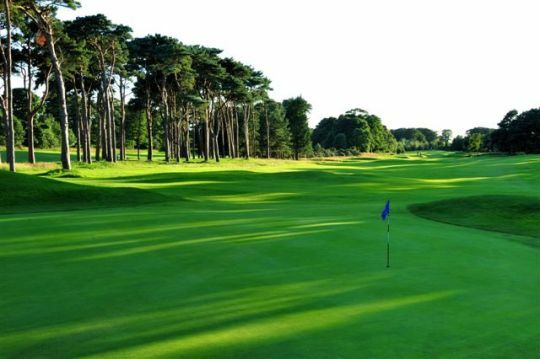 Face the unique challenge of the world’s oldest golf course and one of the original Open Championship Venues. 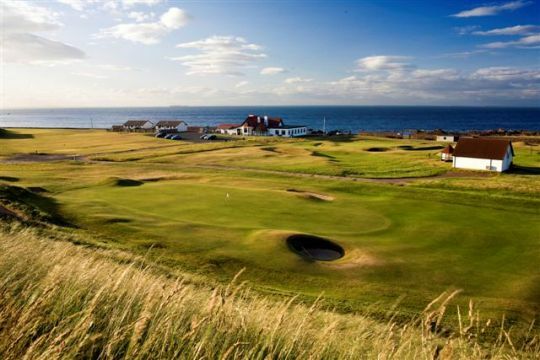 Scotland’s Golf Coast has a diverse offering of accommodation to offer Festival ‘competitors’, providing the perfect opportunity to rest, relax and unwind before enjoying another round of golf. It is a dream for visiting golfers, with all accommodation providing easy access to golf courses. Competitors will be spoiled for choice with 5-star luxury hotels, family-run bed and breakfasts, self-catering apartments or even centuries-old stately homes all on offer. No matter where you choose to stay you are guaranteed a very warm welcome and an authentic experience. To find suitable hotels for your trip to Scotland’s Golf Coast Festival, visit – www.golfeastlothian.com/accomodation. With the chance to play some of the world’s finest links course, we suggest you reserve your places early to avoid disappointment. Warm up for the Saltire Trophy with a friendly 9-hole challenge on one of Scotland’s Golf Coast’s many fine inland courses. This is a beautiful 9-hole course set in gently undulating parkland on the outskirts of the picturesque village of Gifford. With the Lammermuir Hills as a scenic backdrop and bounded by mature woods and farmlands, it has a well-deserved reputation for its first-class greens which are a challenge for even the best of golfers. Enjoy a warm and friendly welcome to Scotland’s Golf Coast with the best local food and drink; and get to know your fellow Saltire Trophy competitors amongst a friendly atmosphere of putting games, fine wines, the best whiskies or a fine Cuban cigar. The draw for the first day’s play for The Saltire Trophy will be announced. Open to all amateur golfers, this 72 hole Stableford tournament played over four inspiring links courses gives you the opportunity to extend your golf into the Autumn months. This is the opportunity for all golfers to experience golfing excellence across some of the world’s finest links courses. Commencing on Monday 19th October, the event will see competitors battle it out over Gullane No.1. Steeped in golfing history, this stunning links is playable all-year round and is host to the 2015 Aberdeen Asset Management Scottish Open. The golf course snakes across Gullane Hill from where you can enjoy some of the best views in the world of golf. This course will present one of the best challenges in Scotland to our golfers. This Harry S Colt design offers a traditional test of golf over its unique combination of links and woodland, many holes having spectacular views to the city centre, beyond to the Forth Bridges and across the Firth of Forth to Fife. 6260 yards may not seem long, but with no par 5’s and eight 400 plus yard par 4’s, this is a stiff challenge, particularly in a west wind. Wednesday is the time for all our golfers to take stock and prepare for the final two days. 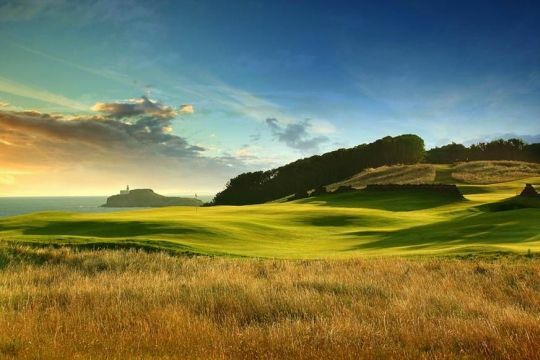 There will be no competitive golf, so it is the opportunity to enjoy all East Lothian has to offer, from our fantastic attractions, delicious local food and drink, or one of our 22 must-play golf courses. With a proud history stretching back to 1856 Dunbar presents a challenging test for players of all levels. A Classic Scottish Links Course, which hugs the coastline along a narrow strip of land within yards of the waves crashing onto the rocky shore. Stunning scenery and a welcoming Clubhouse will complete a memorable experience. The week comes to a close at The Renaissance Club, which will provide both a challenging and memorable final day. 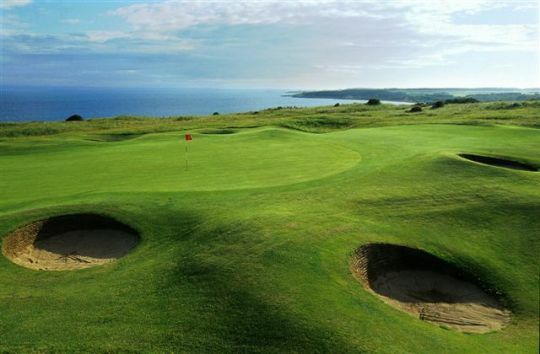 Named Best New Course in Great Britain and Ireland by Golf Monthly, it is one of the world’s most exclusive golf clubs, and has been lauded by critics and golfing professionals as one of the most exquisite golfing venues in the world. This is the chance to secure the Saltire Trophy and experience a world-class haven for golfers. Settle down amongst one of the world’s most exclusive clubhouses, experience a vibrant atmosphere and enjoy some fantastic food and drink. This wonderful celebration brings the tournament to a close and allows us to present the first ever winner with the Saltire Trophy. Join us at Musselburgh Links and face the challenge of the world’s oldest golf course playing with hickory clubs. The Old Golf Course was one of the original Open Championship Venues, hosting the competition on six occasions between 1874 and 1889. A unique 9 hole course, which offers a relaxed round steeped in history. Walk in the footsteps of the great Willie Park Junior and reflect on all who have played here – including Mary Queen of Scots, (reputedly in 1567). For groups of a minimum of 10, there will be a 10% discount. (SAN DIEGO, CA) – Lamkin Corporation – the original manufacturer of premium golf grips – is celebrating its 90th anniversary by giving away 90 sets of grips through a sweepstakes contest on the company’s Facebook page beginning May 1st. Lamkin will randomly select three winners each day through May 30th and provide them with a full set (13 grips) in the style of their choosing. The company produces a variety of popular grips, including the new Wrap-Tech and UTx Wrap, as well as the iconic Crossline and R.E.L. ACE models. Family patriarch and entrepreneur Elver Lamkin founded the company in 1925 while working at a tannery in Chicago. The leather grips he manufactured quickly grew in popularity and became the preference of top players, including the legendary Arnold Palmer. Over the next nine decades, Lamkin adopted the use of rubber and high performance synthetic materials to create innovative designs that established the company as the top provider of premium grips across the world. The company’s famed products are preferred by PGA Tour superstars Justin Rose, Keegan Bradley, Brandt Snedeker, Miguel Angel Jimenez, the legendary Arnold Palmer and many others. Amateur golfers interested in playing grips built to the exact specifications of these players can purchase “Tour Spec” grips from the company’s virtual TOUR VAN. Lamkin grips are unrivaled in quality thanks to world-class engineering, premium materials and handcrafted, repeatable production techniques. More information: www.LamkinGrips.com or 800-642-7755. Get social: @LamkinGrips. Lamkin Grips’ golf heritage dates back to 1925 when founder Elver B. Lamkin began manufacturing golf’s first leather grips. Today, the family-owned business delivers the industry’s widest assortment of performance-enhancing golf grips that continue to earn loyal customers worldwide. Through their ongoing dedication to unequaled product quality and service support, Lamkin Grips is passionately committed to connecting golfers to a more confident, consistent and enjoyable game.